HP OfficeJet 3830 Wireless All-In-One Instant Ink Ready Printer $39.99 (Reg. $79.99) + Free Shipping! Need a new printer to keep up with all your coupon deals? 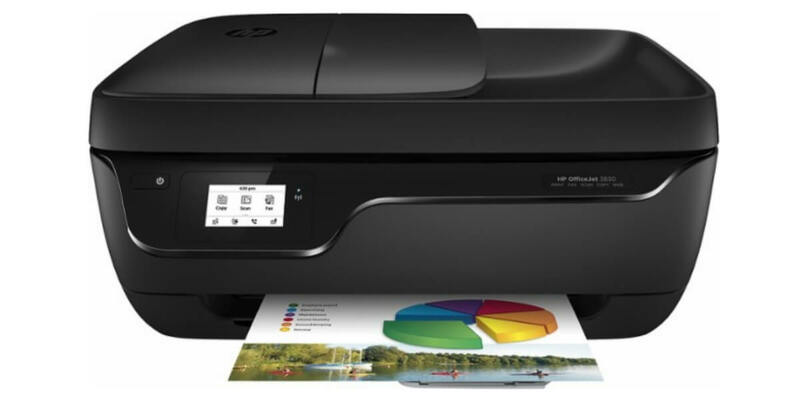 Get the HP OfficeJet 3830 Wireless All-In-One Instant Ink Ready Printer $39.99 (Reg. $79.99) + Free Shipping from Best Buy. Check out the Ratings! Inkjet printers are best for home or small business use They offer excellent print quality for photos and documents and accept a variety of paper types and sizes. Wireless and mobile printing capability Connect this printer to your computer easily with built-in Wi-Fi. Plus, print from your smartphone, tablet and other mobile devices with Apple AirPrint. Up to 4800 x 1200 dpi (dots per inch) color resolution High resolution for producing incredible quality and detail in documents and photos. Up to 1200 x 1200 dpi when printing black only. 1 black and 1 tricolor print cartridge Color inks produce vivid photos, and the black ink produces crisp text. Standard paper handling 60-sheet input and 25-sheet output capacity. A 35-sheet automatic document feeder makes it easy to complete large jobs. 2.2″ mono touch screen With a magic frame makes it easy to choose the settings you want. 1 USB port for simple connectivity 1 high-speed USB 2.0 port offers a standard connection to your PC or a simple way to plug in and print with a USB drive, camera or other device. More print, copy and scan solutions Print 2-sided documents, scan documents to your computer or directly to e-mail, send quick faxes and more.